The Perfect Games Martin Luther King Tournament is a competitive showcase event held in Phoenix, Arizona from Jan. 18 – 21. For this event we will be entering an Underclass (2020 grad or younger) and Upperclass team (2019 grad or younger) into the tournament as the Milwaukee Brewers Scout Team – Canada. The event is taking place at the Dodgers and White Sox Spring Training home, Camelback Ranch. 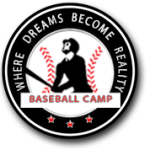 This BLE event will include on-field workouts and intrasquad/exhibition games over two days (Jan 16/17), in preparation of the tournament, followed by the PG Event with four games guaranteed – weather permitting. To ensure quality of tournament event and experience, registration for the BLE/Brewers Scout team for the Under/Upper-class PG MLK Event is limited; early player commitment is advised!